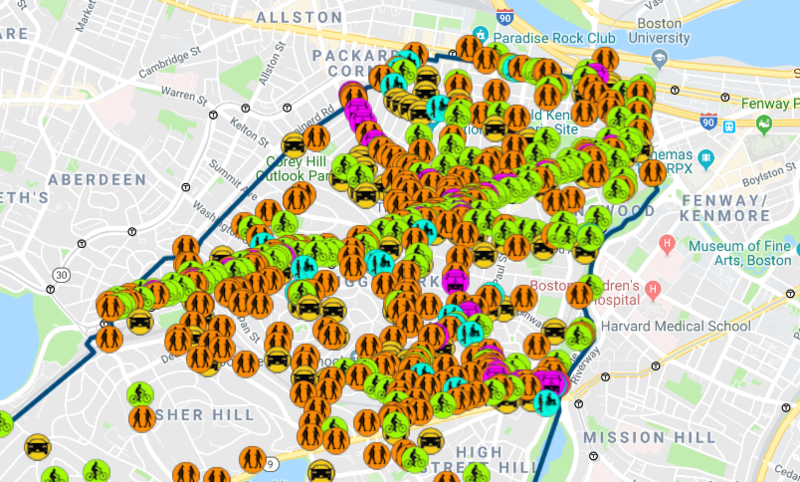 At the end of April, the transportation division for Brookline, MA, posted a road map on the town website and invited residents to report intersections, road signs, sidewalk obstructions, or anything else that caused them trouble. The town introduced the map as part of its effort to complete the second tier of the application to receive funding through Massachusetts’ Complete Streets Program, which provides assistance to cities and towns working to make their streets accessible to everyone, regardless of their age, ability, or mode of transportation. The result is a detailed portrait of a town on the move, bumps and all. At first glance, it is easy to notice the “X” cutting across the northern end of Brookline, produced by complaints made along Beacon Street, Harvard Street, and Longwood Avenue. According to an article published by Wicked Local Brookline, this does not surprise anyone. Brookline has been working on traffic calming policies for a decade, so members of the town government are already familiar with the general areas of concern. Nevertheless, it is always good to confirm one’s suspicions, and the map certainly provides the opportunity to do so. 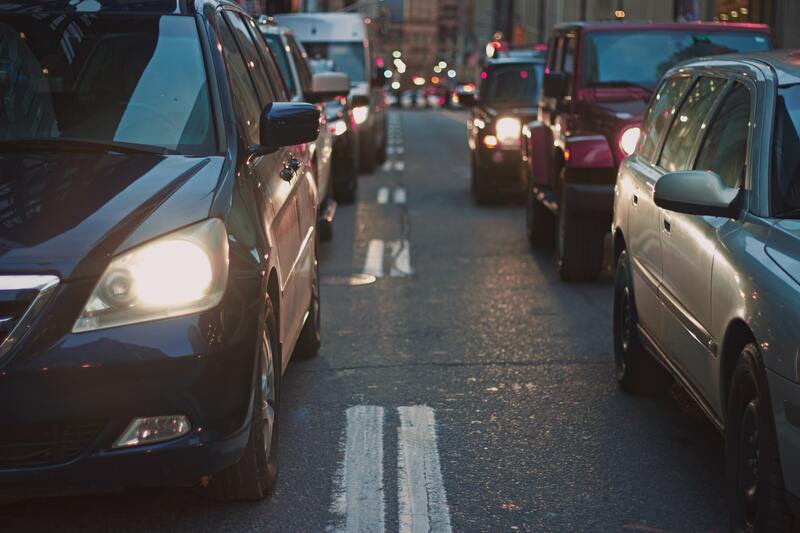 Beyond that, the detail and the specificity of the input from residents provide insight into the smaller, fundamental problems that underpin larger traffic issues. For example, at the intersection of Beacon and Harvard, you can find an assortment of pins dropped complaining of specific problems experienced by pedestrians, bus passengers, and bicyclists. One pedestrian writes, “Pedestrian signals/timing here are lousy. Often not enough time to get fully across Beacon Street. Signals don’t have countdowns either.” To that comment, three others responded with agreement or suggestions to improve the situation.